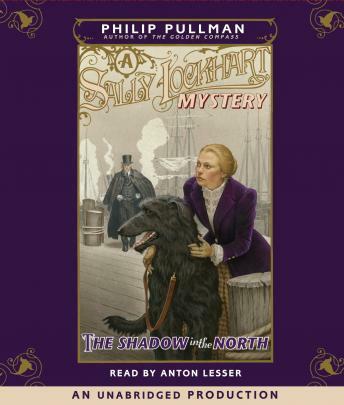 The year is 1878, and Sally Lockhart has started her own financial consulting business. When a client loses a fortune in the unexpected collapse of a British shipping firm, Sally is determined to find out why. But as she comes closer to learning the identity of the firm's elusive owner, she discovers that her questions are far from simple --and that the answers could cost her her life. "Fraud, fire, and bloody murder pursue Sally Lockhart in a fine sequel to The Ruby in the Smoke. Sally, now 22, is in business as a financial consultant. When she and her friends challenge corrupt financial interests, they find themselves in a web of intrigue that stretches from fetid slums of the poor to the corporate offices of the richest man in Europe. Sally's detective work reveals the connections between corrupt power and broken lives. The action is fast, scenes are tight and dramatic, the language is vivid, and the wealth of minor characters are sharply individualized. An immensely entertaining thriller." --(starred) Booklist. Reading level: 6.7.